Manjaro 18.0 DVD (64-Bit) | Linux DVD Shop - UK Linux Shop supplying Linux on CD, DVD and USB with Free UK Delivery, 24Hr Dispatch. Manjaro Linux 64-bit DVD is an Arch-based distribution featuring the Xfce desktop. 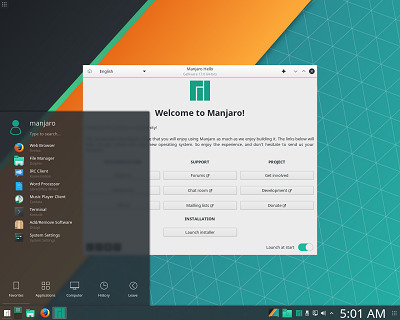 Manjaro aims to bring all the benefits of Arch but in a more user-friendly desktop environment, making it suitable for newcomers as well as those with more experience.